Cake Wrecks: The Super Bowl of Sunday Sweets! ARE YOU READY FOR SOME FOOOOOOTBAAAAAALLLLLLL???!???! Awww yeah, Cake Wrecks fans, we are NOT going to disappoint on this Super Bowl Sunday! Granted, the three of us know as much about football as we do Japanese ventriloquism, but we wouldn't dream of featuring non-Super Bowl-related cakes on such an auspicious occasion. In fact, today we're going the extra mile and celebrating the entire list of playoff teams with amazing Sweets. Booyah! First, remember in the playoffs when that guy from the Patriots was all like, "I've got the ball and I'm running toward the goal with it!!" Or when that other guy was all, "We're in a team called the Colts! And we're gonna win!" But golly, we were all thrown for a loop when those Jets hit the court! And when they went up against those Falcons, boy... we never could have predicted that thing that happened at that one point there. FALCONS! TEAM OF THE MILLENNIUM! But my favorite part of the playoffs was when that one team fought against the Bears, and the ball went over there and everyone SCREEEEAAAMED!!! And then the Chiefs drove up from that place the Chiefs are from and took the field with a vengeance! Yep, football really is the best, right? I mean, it's like magic when the Seahawks hit the ice! And the Saints, of course, will hear no evil, see no evil, AND speak no evil against a game as bananas as this. AM I RIGHT?!? WAY TO BE SAINTLY, SAINTS! But it was really getting down to the wire when the Eagles came into play. They began to take it easy, and I can't tell you why, but it was like hell froze over! They made the long run and began to take it to the limit! By the Disneyland Bakery. We think. WELCOME TO THE HOTEL CALIFORNIA, EAGLES! And then it all came down to two teams... the Packers and the Steelers. Man, the Packers traveled all the way from Boston to go head to head against the Milwaukee Steelers. But the Steelers were all like, "We're not gonna lose, no way!! We're gonna take that round thing and run until the guy in black and white blows his whistle!" Will the Steelers steel themselves to steal a victory? Only time will tell. And 'til then, we'll just keep cheering on our favorite team. Yes, but where are the daisies? You never fail to bring a smile to my face, Jen! SO hilarious! HA HA HA! Fabulous post. And...So SOX! I laughed the whole time I was reading this post lol!! The winnie the pooh cake is simply is AMAZINGLY GORGEOUS. AWESOME! One of my fave SS posts ever!!! Third, my DS flipped at the Master Chief Cake. His expression was priceless. what the heck is that thing supposed to be under the chiefs reference? it is nicely made but i cant tell what it is. Wow. I learned so much about football! omg everyone laughed at me when I said the Seahawks sounded like a hockey team! tiny victory! SO funny! I barely know anything about football myself but I LOVED this post. Very funny. This was 852 kinds of awesome. Two words... AWE-SOME! Halo, Star Wars, Winnie the Pooh, patriotic stars, pretty horses and a cute lil' Bobbie arresting a burgler? It is too much... my brain went all splody! This is hilarious! Great post!! BTW Go Pittsburgh Steelers!!! He he he! Funny you should mention Japanese ventriloquists...that is a long time family joke for us! Anyone can be a Japanese ventriloquist...not much need to move your lips when speaking Japanese! LOVE IT!!! Love your blog! 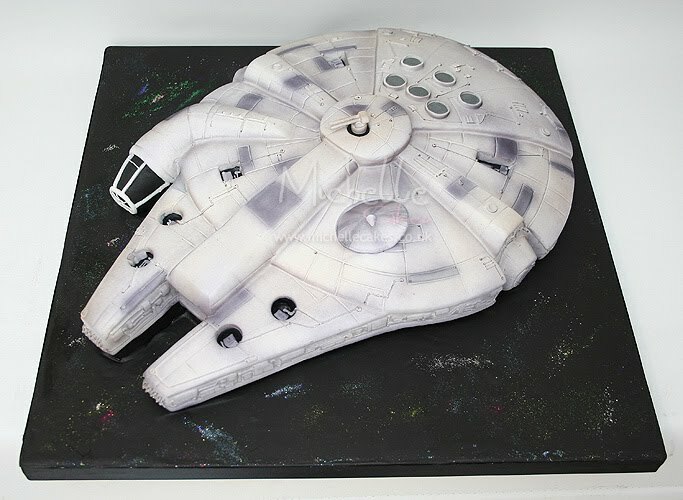 Wow that was an amazing millennium falcon...and totally random, which I loved. And those little monkeys and their teensy little bananas! So cute! But the best part? 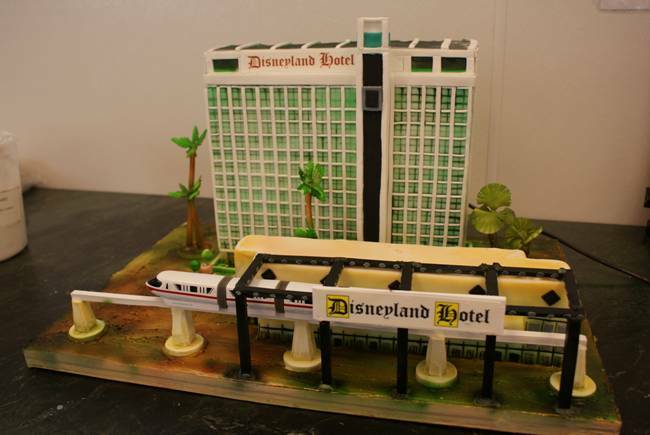 I was so confused as to why there was a hotel cake after the Eagles reference. Then I scrolled down and read the caption. Cue insane laughter and strange looks. So good. Also one of my favorite songs, so bonus! Well done! That Colts cake was INCREDIBLE! Sculpture at its finest! One of the best super bowl posts ever! definitely going to facebook post! All terribly cute, but I am slightly confused by the random layer of Baroque Angels in the middle of the "Colts" cake. You know I just learned the word "bobbie" (which my firefox spellcheck apparently doesn't acknowledge as a word, silly old spellcheck) a couple of weeks ago. Now I sort of want to use it everywhere. Look at that bobbie on the side of the road! Man that was a rude bobbie wasn't it? Hey! Just met a guy called Bobby. He's a bobbie. I tried to be grouchy about the lack of actual football, I really did. But those cakes are all so utterly gorgeous that I simply can't be upset about it. These are truly some of my favorite Sweets ever - they're all just stunning. I love the Pooh Bear cake and the Saint monkeys are precious. The Colt cake is possibly my absolute favorite EVER, though. I seriously might print it out an hang it on my wall because I know it will make me smile every time I see it without fail. Fave part: "I mean, it's like magic when the Seahawks hit the ice!" OMG, you crack me up!! Now this is MY kind of Super Bowl post! Love. It. 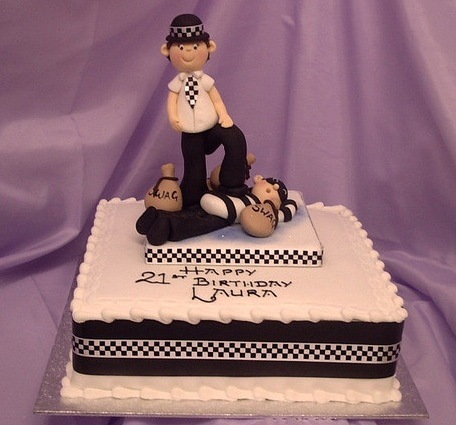 That British police cake is simply adorable. SILLY OLD BEARS! For the win! Took me a while to figure out the Eagles one, but ones I read the caption at the bottom, I understood. Your play on words was brilliant! Thanks for the laughs. hah! Punnier than usual, good job. And ohmygosh.....the cherubs and horses!! How did they do that?! Awesome. For a minute, I thought my sister wrote this. I love her dearly, but she knows as much about football as I do about a Mac. "Man, the Packers traveled all the way from Boston to go head to head against the Milwaukee Steelers." I'm not sure if you just messed up by saying the Steelers come out of Milwaukee or it was intentional. If it's intentional then I don't get it. Otherwise, the cakes and commentary are absolutely fantastic. Well done. the winnie the pooh cake is absolutely delightful! 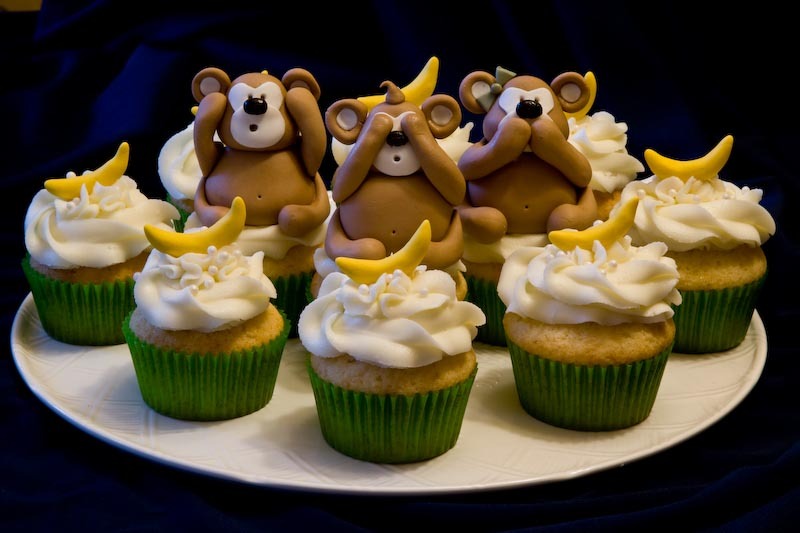 and the hear-see-speak no evil cupcakes are adorable as well. If only real football was as entertaining. ;) The Millenium Falcon and the picture of Raven cracked me up! Great job guys. wv: conlicks -- I conlicks the frosting bowl? But I'm waiting for the impending Epcot because you said the Steelers are from Milwaukee. Silly Number 1...everyone knows they're from Detroit. You know as much about football as I do! Completely awesome post. Truly! And I see you have another Doodle-cakes cake in there - sublime. Every young boy (and some not so young ones will know exactly what that is!). Love her stuff! Lots of talent in a single post. Brava! The Pororo cake is rather nice. :O And the Pooh one! these are two all-around beastly teams. neither team has a weakness. both deserve to be in this game. but if I had to bet on one, I'd say that Packers will win.I respect the Steelers,they beat every team fairly and did a great job, but due to the past games, I think the Packers are just unstoppable right now. from the video game Halo 3. I'm not an expert on Halo 3, as I've never played it, so maybe someone who knows more about the game could help us out. I hope we don't have another Epcot on our hands with this post. This is Puppy Bowl Sunday. Is there also a football game today? Love the sweets, but...RED SOX?! can I just say......I adore you.....can you see my waving my lit bic in the air??? I found this post a bit annoying. It seems weird when someone freely admits to having no interest or knowledge about a topic but decides to 'participate' in said topic anyway. The results often turn out such that you are trivializing something that other people really care about. Awesome, awesome post. The string of Eagles references was amazing, and the Falcon cake--glorious! Come on Manchester United! Oh wait, hang on, wrong football. Okay, so not to split hairs, but the "Seahawk" is actually Pororo the penguin. It's a famous cartoon in Korea and my daughter absolutely loves it, hence why I am well versed. Don't mean to create another Epcot, but I mean...you were so dead on with the other cakes, why mix birds? I mean I guess I can see the penguin sea-bird/hawk connection. But that's a little below your standards! love this sweets! you have outmazed me yet again. but why no Browns? maybe most of those cakes are wrecks? Love the Eagles bit. 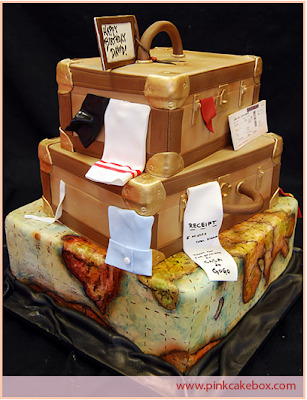 :) And that 'packers' cake is amazing! Now, this is my kind of sports post! Go Team CakeWrecks! You guys have really outdone yourselves this time! Go team Cakewreck! 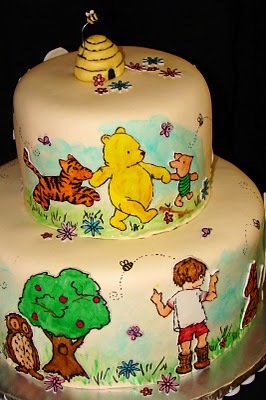 And that Winnie the Pooh cake is beautiful! Oh, my! That is EXACTLY how I would describe the foosball. My husband is so proud. The Colts' cake is an absolute work of art! Wow! LMAO. The funny thing is, this actually added to my football knowledge. Just verifying....Raven's not a CAKE right? Cake Wrecks, I heart you. Love the commentary to go with the awesome cakes! And, since I work in aviation, I had to look up the info on that aircraft. Took me a few to figure out if those were "6" or "G" at the end, but yeah, I figured it out. You know more about American football than I do! And, I'm sitting here in Fort Worth which is part of the Metromess that is hosting the Stupid Bowl. I'll stick with the Puppy Bowl and Kitteh Half-time Show, thankuverymuch! Thank you from the bottom of my football-hating little heart. 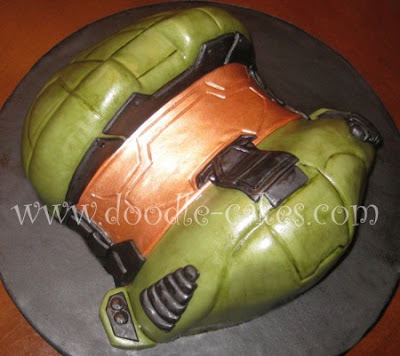 @ Kim h, that's a Halo3 Master Chief Helmet cake. 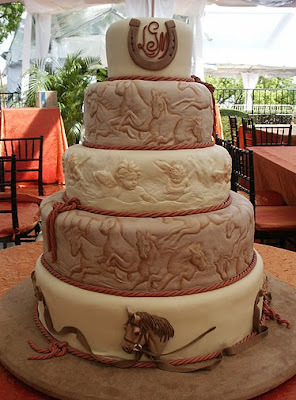 I love that horse cake, that's some impressive detailing. I think this is the funniest post I've ever read... on any blog! I was cracking up the whole time! That was a great post! Loved "Silly old bears". The horse cake was beautiful, but I don't get the angel tier. Well done angels, but why are they there? Horses that have died? Weird. I've seen a lot of awesome stuff on Sunday Sweets, but that little penguin is about the cutest darned thing ever! I didn't get the Chief's reference. I'm not a gamer. I guess you couldn't find a cake for a Coast Guard Chief Petty Officer? The rest of them were great! Keep up the good work. Fantastic, I have to say, your knowledge on football is astounding. HAHAHA!! I love football, and I love your post! Too funny! Surely you must understand that this is a huge blog and the audience comes from all walks of life. To not post about the Super Bowl today would have angered hundreds, perhaps thousands, of people. It would have been like pretending it didn't exist. They don't have a choice but to participate. Frankly, if there were a huge sporting event today revolving around lizard racing, there would be a lizard racing SS post. Plain and simple. It's not about trying to participate in something you don't care about, or insulting the people who do, or trying to be something you're not. It's about not trivializing the fact that other people DO care, and that the Super Bowl MATTERS to people. It's hard to talk about football if you don't understand it. If you asked me the rules of football, I would probably respond with, "People tackle other people to get the ball to the end zone." I didn't even know who was playing until today. There have been Cake Wrecks posts about things I'm enthusiastic about that didn't live up to my standards of the activity. I didn't get upset about it, because you know what? People have different tastes. And at least they took the time to realize that sort of thing was important to me, even if it wasn't to them. This post is here to RESPECT the Super Bowl and its fans, not to insult them. Please try not to jump to offense, it's exhausting. Now I want KC to change from the Chiefs to the Master Chiefs! Ha-larious! i was so disappointed you were going to discuss football in realistic terms, then you blew my mind. thanks. FANTASTIC JOB JEN!! Anything I ever wanted to know about football, I learned from your post today. My knowledge was next to nill considering I'm a DETROIT LIONS' fan!!!!! WV: revirl...We Detroit fans hope someday the Lions can REVIRL, and make it to the Super Bowl! Super Bowl Sunday, or as I call it, the celebration of the end of football season! Beautiful cakes! I loved the Falcon cake, and the bears, and the Patriots, and the Seahawks. WV: goeyops: What you get when sitting next to a toddler who has a cold. Ick!! This is not a cake related comment, but it is Super Bowl related. Jen, if you haven't already done so, you seriously need to see the Volkswagen commercial during the game today. It is available to watch online and has been for several days! I guarantee that you will love it! that Raven cake is really realisitc! Wow! Me: Oh, yeah, superbowl this weekend. Avoid pizza. Man-in-house: Is that Sunday or Monday. Me: Pretty sure it's Sunday. *googles* Yeah. Sunday, otherwise people would skip work. 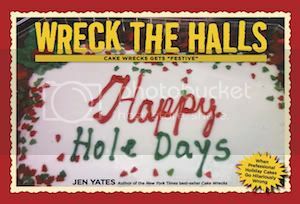 Cake Wrecks makes fun of everything. Nothing is sacred. Having a sense of humor is being able to not take yourself to seriously. And Winnie the Pooh made this day worth it. Silly Old Bear. Is that a corset on a ninja turtle torso? no need to get wigged out about this not being truely about the superbowl either. people tend to get very militant about favorite teams, and excited about every play. that'll happen during the game... this is for being lighthearted before it... now, since the sb is about to start, i'm off to watch some commercials! go Betty White! I think you know more about football than I do. Wow! And I think the football cakes you showed are just right. Laughing myself silly. Wow, the jet is fabulous. I love the runway lights. And I'm betting that if there were a national cake decorating Sunday and some sports site featured a tongue-in-cheek false understanding of the art of cake appreciation that you would dance a happy dance and link to it. Poor Michael is just disappointed that the post that thought at first would be beautiful professional cakes honouring NFL teams turned out to be beautiful professional cakes awkwardly shoehorned into humorous associations with NFL teams. Really he should be proud that his hobby is so pervasive that it merits a nod from such an unrelated genre. This is how we feel about the Super Bowl at our house....when does baseball season start? During the opening kick off, my 4 yr old yelled "Homerun!!!" Only someone who does know about sports could have written the subtle humor there in the text. You're too clever. The "That's so Raven" comment is priceless! Friggin genius. This is why we love you. Along with other reasons. Once again, some of the comments are (almost...well, sorta...ok, not nearly) as amusing as your commentary. I found it funny that no one else except anonymous@5:50 commented that the "Packards" are not from Boston. Those of you who are offended that these are not serious Super Bowl team cakes need to remember that this is a humor blog. And that Jen is an equal-opportunity humorist/satirist/punster. wv-phitan: They 'be phitan it out on the field today. The Eagles one was the best because I was smiling at all of the other cakes and then when I read "Welcome to the Hotel California Eagles!" I just about died of laughter. I am not a huge fan of football, though I do 'get it', after having had it explained when I innocently asked, "Why only go for 10 yards? Don't they want to score a TD?" That aside -- I totally 'get' your post today, and it is over the top hilarious! Perfect for those of us who enjoy a game now and then, but also like to poke some fun, as the commercials are the best part of the SB. 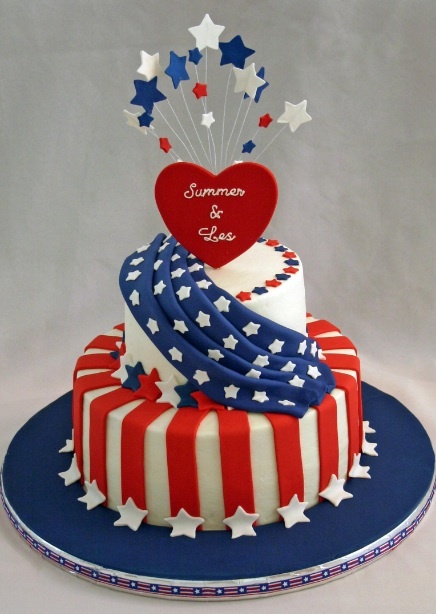 It's also great for those of us who LOVE FABULOUS CAKES! 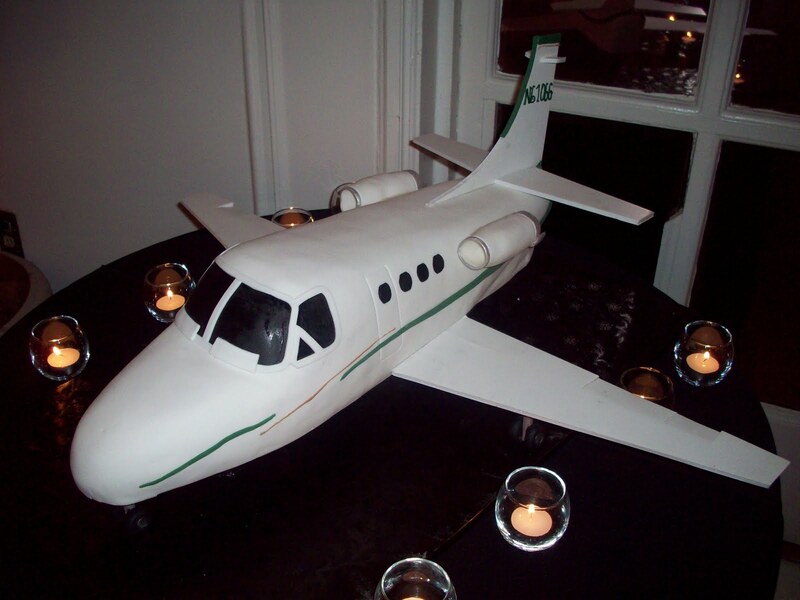 Very sweet mix of subjects... and the Jets cake is even their colors (see the stripe of green?)!! Smiling at them all and singing away with the Eagles as I check in from Boston, routed through Milwaukee, on my way to California. I love the blog but it's even better that it's being done by a Red Sox fan! two days until truck day!! It takes a special kind of person to so perfectly blend humor and gorgeous cakes (you know, without ever mocking anything). I have a feeling I would have enjoyed this post even more if I had known whether the team names you picked were actually football names. I obviously like sports about as much as Jen, John and the other Jen. :) Great job! Love the humor and only someone who knows a little something about football could pull something like this off. All the Eagles lyrics had me laughing out loud! Sorry, but those who keep pointing out the different city name seem to be missing the point. Lighten up, it's supposed to be funny! That said, to all those who were offended, Anonomyous @ 5:54pm explains it well. Great job guys!!! Go Red Sox! Great commentary! And I'm totally in love with the Pooh cake. Wonderful cakes! I love, love, looooove the Winnie the Pooh one! ummmmmmmmm... the steelers are from pittsburgh. you know, in pennsylvania. The winnie the pooh cake is so cute!!! Great post, as always. Thanks for bringing so much joy to the otherwise horrible football day! You do realize that the Packers are the ones from Wisconsin, right? Of course, I only know this because I'm from Wisconsin, and it's kind of hard to ignore. The Steelers are from somewhere over in Pennsylvania. I'm stealing these jokes and packing them away for future use (didn't Milton Berle once say that?). Eagles. 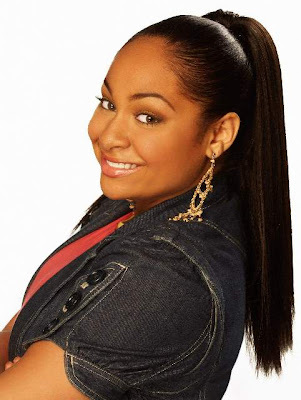 Raven. I love it. Thanks for the laughs, as always! Considering I never watch football I loved these lol. Now hides from Superbowl fans hoping they don't throw wrecks in my direction.. unless of course it has sprinkles :D lol. I am absolutely in awe of the "Colts" cake. The sculpting looks like the leather tooling on a really nice saddle. Any idea how the fondant shaping was done? Molded perhaps? Then airbrushed or painted? It's just amazing. Good grief! I can't believe that some people just don't have a sense of humor. Great post, and that comes from a football fan. Loved the quality of the cakes, especially the Colt one, but didn't get the Chief one at all. (Thanks to posters who clarified). This was a fun end to the weekend when the Packers won the SuperBowl! Yay! That's not a man in black and white, it's a woman! Or a man in drag. Either way, it's a policewoman's uniform. American Football: is that the one with those long bats on a green baize table? My confirmation wort is "pratina". Like "prat in a tizz about correct uniform nomenclature". That told me. Surely someone out there makes non-wrecky cat cakes! 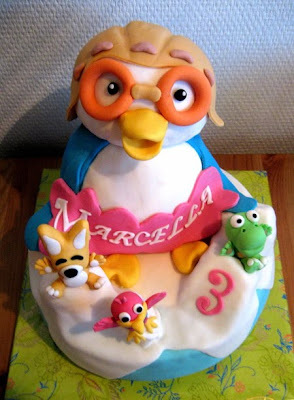 ...Pororo? What are you doing at the Super Bowl? This post was awesome!! Though I have to admit, I'm laughing even more at the people who keep correcting the cities. Good grief people...have you not been reading CW long enough to know these posts are in jest?? Please, please rediscover your sense of humor. I promise you'll enjoy the site a lot more. Wow very creative and delicious!!! Yummy Can't wait to buy one like those! Best football-related anything. Ever. Because I actually understood everything! 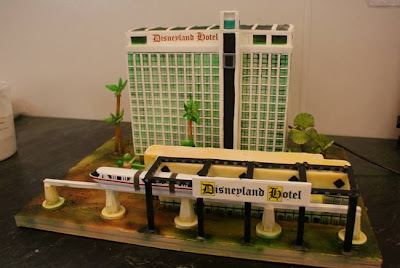 I think that Disneyland Hotel cake pre-dates 2008. The monorail is the older style Mark V shape, rather than the Mark VII trains that have been in service since June 2008. Good one! And thank goodness I looked at this post AFTER the baby/pregnant eeky cake post! @Anonymous 2/6 @ 5:04 said, "Please try not to jump to offense, it's exhausting." That belongs on a shirt. Actually, it belongs on a billboard. Just sayin'. #3 That jet is seriously cool! #6 "...the Chiefs drove up from that place the Chiefs are from..." LOL -- at risk of offending some people, that's about how closely I follow football. Though I watched the Salad Bowl -- no, wait... Super Bowl -- at my pastors' house and actually enjoyed it. #8 That Raven cake is so life-like! #10 "Welcome to the Hotel California, Eagles!" Great line.